A typical entry from the Facebook site of Arne Schmitt: 8.4.11 – The police would not allow me to play today. They claimed my permit wasn’t in order. So I will travel to Leipzig tomorrow to play instead! 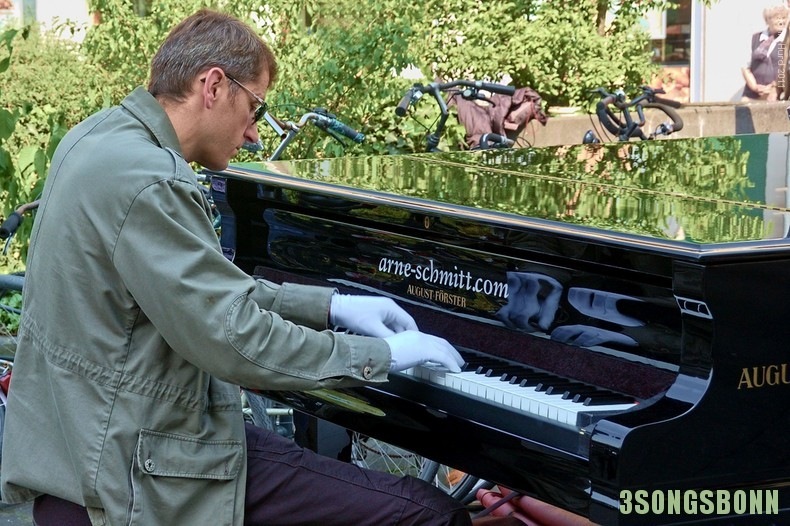 On Saturday Schmitt was ‘tickling the ivories’ opposite Bonn Main Station – his white gloves reflecting off of the highly polished August Förster piano that he travels around Europe with. It all started with making music with friends after school. Then he found that not only did people like listening to him play – they would even give money! A CD of Schmitt playing the likes of Elton John’s ‘Song for Guy’ or Lennon’s ‘Imagine’ amongst others costs 10 Euros (suggested donation price). 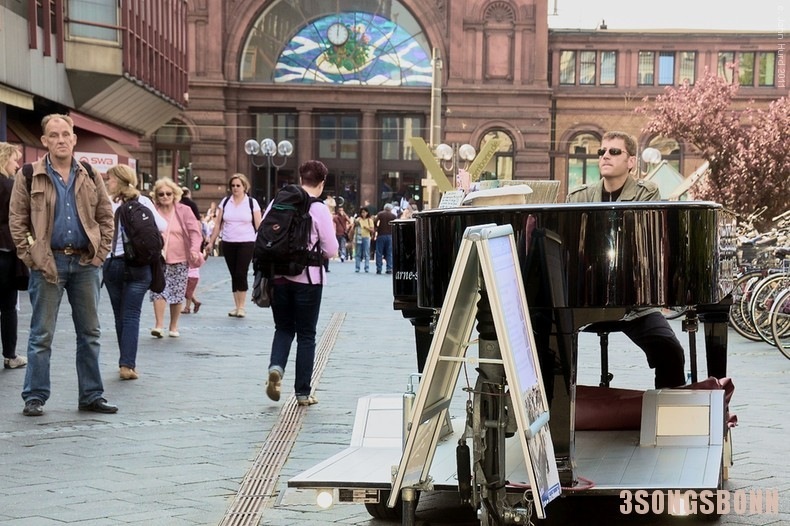 It’s hard to believe anyone can make a living from travelling Germany, Poland, and the like by just playing in the streets; but the man from Hagen has been doing it now for some 14 years. He even has his own Facebook page and Website. Just don’t expect to see a tour itinerary on it!